Follow the steps below and learn to print a nozzle check on Canon printers. You print out a page to check the status of the injectors, help us identify which ink cartridge is presenting problems, give us time to solve any problems before the cartridge is completely damaged. Read our publication on the error 28 cartridges burned injectors, which can be an irreversible problem, so the constant interest in verifying the quality of print cartridges, you can see that the cartridges should not be left spend ink completely. This will cause a serious error causing the damage cartridge unresolved, another thing is that the nozzle test helps to identify which is the cartridge that is giving problem, even more so that we know what the color printer. 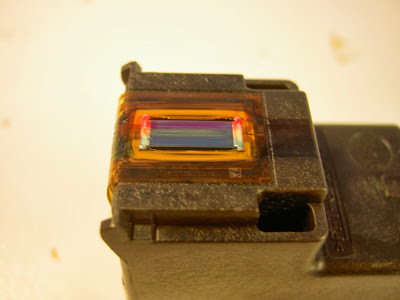 If we know what the color causing different pages as seen on the computer, we can fill in the color, if using system printers with ink, make ink cartridge reaches the right way. The nozzle check, is nothing more than a page printed with all colors, stripes on top of the black cartridge with accurate and precise vulnerable to errors in any printhead. That is to say "the page that the printer out when we requested a nozzle check" will make the problem with the nozzles easily note, by the colors and lines of the black cartridge. We need to get to the printing devices, for this and any other necessary settings in the cartridges, it will be easy if you read our publication to get whatever you want your operating system. We will even have the chance to see an example of how the printed page would be, if the injectors have problems. The equipment must be A4 size pages to print, and be fully operational, you should have no problems with the ink cartridges let alone prevent printing error, based on the results you must take a final decision on the ink cartridges. Make this process, when you feel that the quality you get from the cartridges is not what it should, this does not improve print quality, only serve to prove it. If you have any questions or suggestions write a comment, gladly be answered.